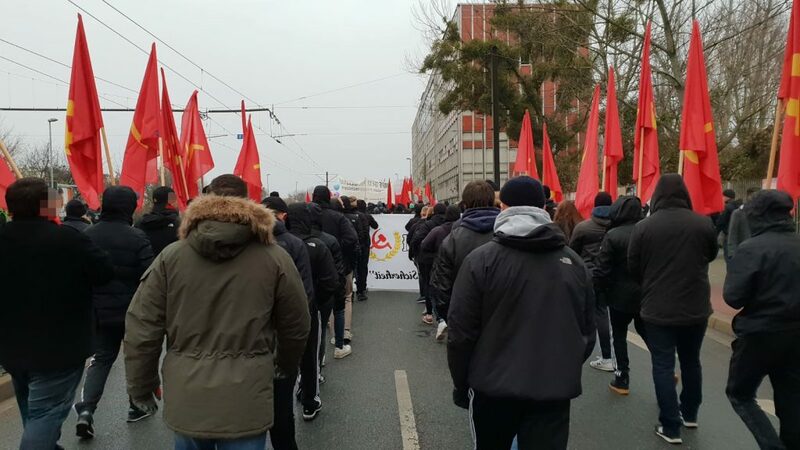 A total of 1200 people went out to the streets of Magdeburg against the new police laws, increasing fascization and the meeting of the bourgeois oppressive machinery bosses at the service of capital. 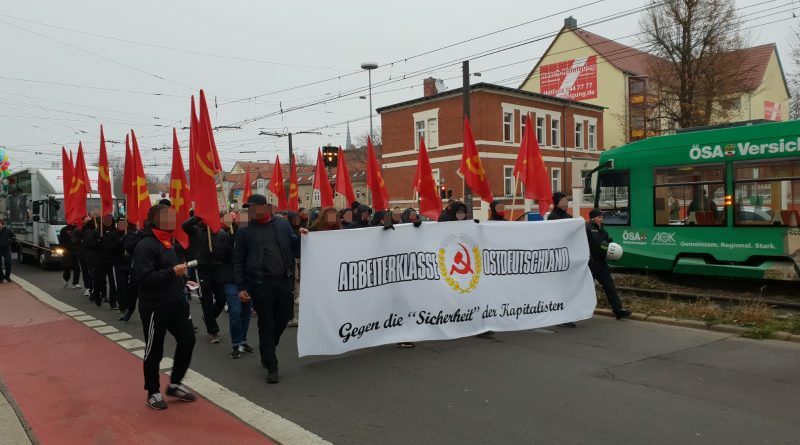 With a strong and disciplined block of about 50 comrades from Magdeburg and other cities under the slogan: “Working class East Germany Against the “security” of the capitalists”, we attended the demonstration against the Conference of Home Ministers. 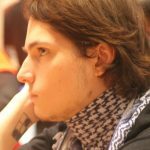 Different revolutionary, progressive and democratic forces were called for the demonstration, and there were several blocs, from the MLPD to the “Internationalist bloc” mainly supported by anarchist and Kurdish forces. At the top were youth and ultras of FCM. 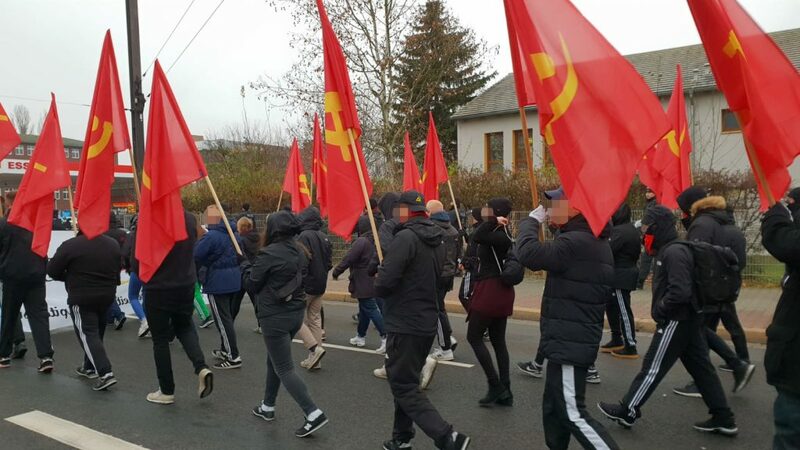 Equipped with a lot of red flags we ran directly behind the strong class fight block of Zusammen Kämpfen Magdeburg (United Fight Magdeburg), the Roten Aufbau Burg (Red Construction Burg) and other comrades. 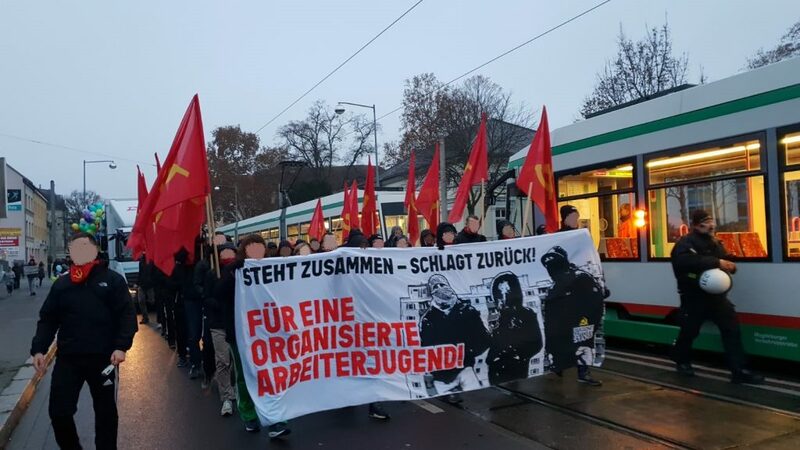 In addition to content for the purpose of the demonstration appropriate slogans for people and class and against the bourgeoisie, their state and their conference of ministers, also echoed the battle call “Youth – Future – Socialism” through Magdeburg streets, and in the front banner read a current running Campaign “For an organized workers’ youth”. With the new slogan: “Forge the Unity of Body and Mind, Don’t Destroy Yourself, Destroy the Enemy!”, the anti-drug campaign was carried to the streets. At the end of the demonstration, our block sang together the anthem of our class, the International, played from a sound truck. During the demonstration, there was a large contingent of cops. As far as we know, on the long route through all the city there was not a single disturbance or provocation by fascists or anti-Germans. After the demonstration, there was still an active resistance in the rebel neighborhood of Stadtfeld against the police which appeared as a siege troop. 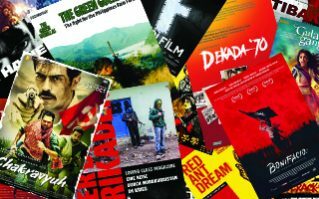 The block was a success and good expression and sign of the development of our work in Magdeburg and East Germany in general. 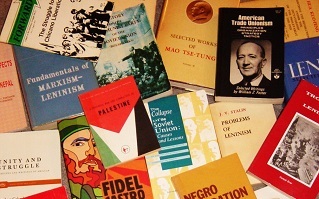 It also clearly expressed how we see the question of security: Only in socialism genuine security exists for our class, and only the combative proletariat can create it.